Ken Bredemeier | VOA Nov 6, 2018. Throughout the world, countries hold national votes on weekdays and weekends, all during the year. But in the United States, the major national elections for president every four years and every-other-year congressional elections like those being held Tuesday are always held on the first Tuesday after the first Monday in November. It’s been that way since 1845, when Congress set the floating date that can result in national elections as early as November 2 and as late as November 8. The reason lies in the country’s agrarian past. The thinking at the time was that 19th century Americans, many of them farmers, were too occupied with taking care of their crops in earlier months to be concerned with elections. But by November, the work in the fields had eased a bit, the crops likely harvested before frosts set in. Since Sundays were reserved as a day for the Biblical Sabbath to attend church, and it might have taken another day, Monday, to get to polling stations via a horse and buggy, Tuesdays in November were set as election day, before farmers headed to markets on Wednesdays. There have been occasional suggestions in modern-day America that more people might vote if the elections were held on a Saturday or Sunday. But old traditions die hard and there is no serious effort to change the national election calendar. 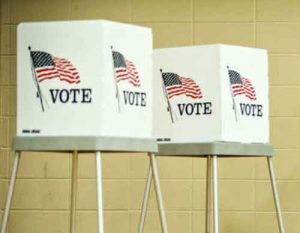 The next major national election in the United States is in 2020, another presidential election year, on the first Tuesday after the first Monday in November, November 3 as it turns out.